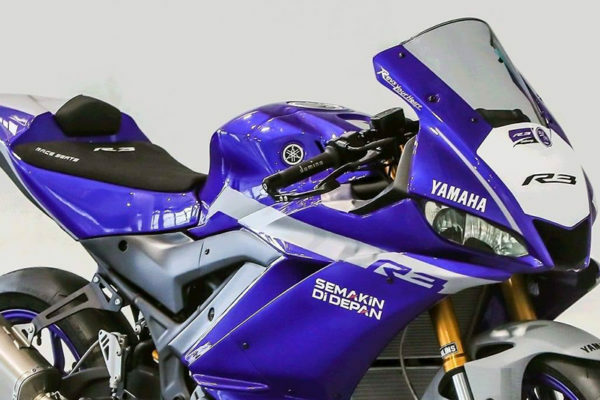 2019 brings plenty of news to motorcycle racing, but there’s something that stands out for its innovative, particular character, as 2019 season will see the debut of the brand new Yamaha R3 bLU cRU European Cup, single-brand series powered by Yamaha Motor Europe under the aegis of FIM Europe. Created by former JiR MotoGP Team Manager Gianluca Montiron, this new championship will enable riders to compete at international level, as eight rounds will take place around Europe. The calendar includes both well-known circuits like Portimao (Portugal), Jerez (Spain), Most (Czech Republic) and PannoniaRing (Hungary) and shorter, slower ones like Alés (France) and Knutstorp (Sweden). The participation fee for the entire season amounts to €22.000, while a single-event wildcard entry costs €2.500. The fee includes bike, tyres, fuel and technical assistance. The riders will be divided in two categories: bLU cRU (riders from 13 to 19 years of age) and Open (including every participant). But the main peculiarity of the championship is represented by its format: the whole round schedule will take place on Sunday and each rider will spend up to 120 minutes on track (like in Supersport 300 World Championship). The riders will be divided in two groups for Free Practice and Qualifying sessions and the results of Qualifying Practice will define the grids for the two races: the fastest 25 riders will contest Race 1, while the remainder will attend Race 2. At the end of the season, the best 25 riders in championship standings will be awarded a Yamaha YZF-R3 machine and the Top 3 will participate in bLU cRU Masterclass, where they’ll fight to be selected for 2020 Supersport 300 World Championship. Moreover, the Open category champion will step up to 600cc class, whose introduction is planned for 2020. Registration for this new championship will open soon and all the bodies involved expect its inaugural season to be a success. For further information, send an email to press@jir.mc.